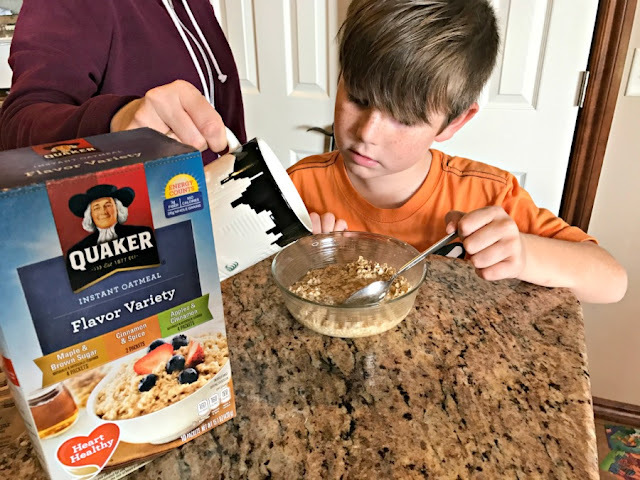 This is a sponsored post with Quaker Oats. All opinions are my own. Have you ever had the morning that just got away from you? It's like your family can barely get out of the house on time, much less have a meal together. I know I have felt that with my family. Mornings sometimes feel like a you are a hamster on a wheel, moving as fast as you can just trying to get somewhere and failing miserably. Thankfully I have an easy morning parenting hack for you. Save your sanity by putting together my oatmeal breakfast bar. It has something for your whole family. It can be prepared the night before, or set up in mere minutes in the morning. Keep reading to find out how! It all starts with the oatmeal. There are two ways to go about it. You can choose a box of Quaker Instant Oatmeal or Quaker Old Fashioned Oats. 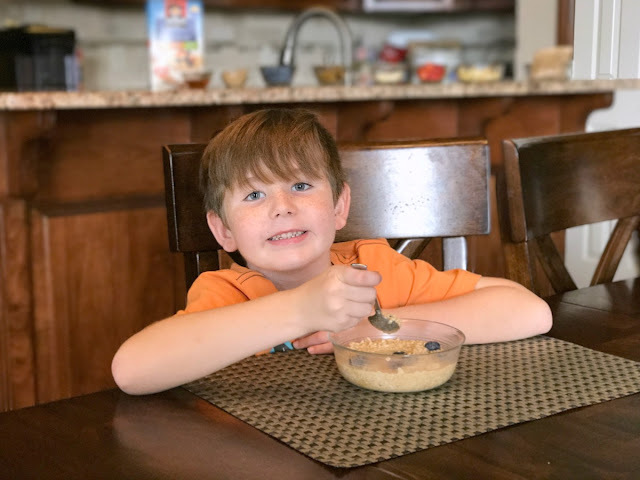 If you go with Quaker Instant Oatmeal, your family gets to choose whichever tasty flavor they want. My daughter chose Strawberries and Cream while my son picked Maple and Brown Sugar. 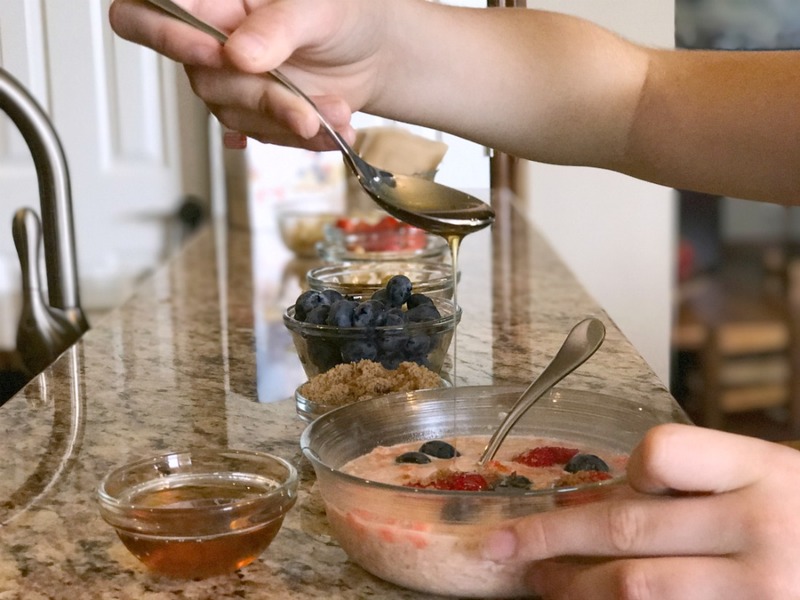 You really can't go wrong with the instant oatmeal option. We made it even easier by dispensing hot water into a mug from our espresso maker. This gave us hot water right away and we just poured the desired amount into the bowl with the instant oatmeal. Of course, for safety, an adult always should pour the hot water. 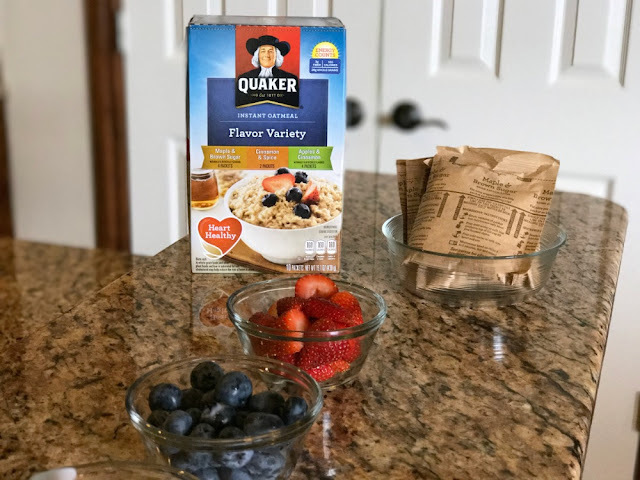 The second option is to go with Quaker Old Fashioned Oats. You can prepare it according to the instructions on the package or follow our hack. We combined 4 cups water, 2 cups milk, and 3 cups oatmeal in a metal pan. We baked it at 350 degrees in the oven for 35 minutes. When you take it out, stir it and it is ready to be loaded into bowls for your family. You can put the pan in the oven first thing in the morning and it will be hot and ready when your family is ready to eat. 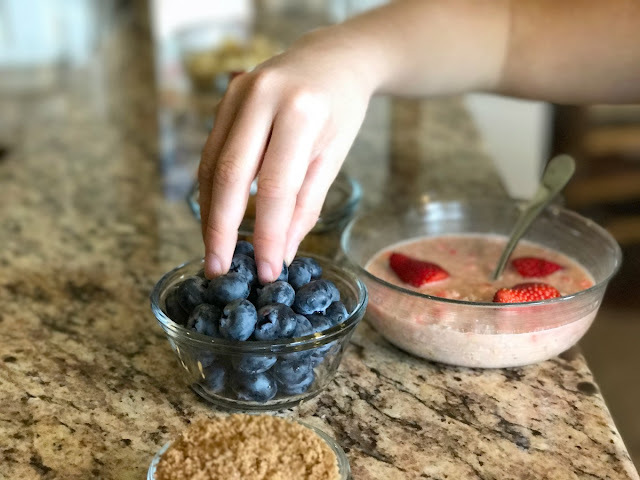 The other part of the oatmeal bar to think about is the toppings. If desired, you can divide all of these topping into serving bowls the night before. There are so many choices here, but I'll tell you what we used to make it well-rounded. We started with fresh fruit, including blueberries, strawberries, and apples. We also had a bowl of golden raisins. To prevent the apples from browning, rub apple pieces with lemon juice. Next, we wanted to add something crunchy. This provides some texture to the meal. We used slivered almonds, but any nuts can be used. Finally, we gave the option to add a little more sweetness. If you are using Quaker Instant Oatmeal, you won't need any, but if you are using Quaker Old Fashioned Oats, your kids might add a little. We had a small bowl of brown sugar, and a tiny bowl of honey. Once again, the choice of toppings is up to you. You know your family best, but I do recommend giving them variety. 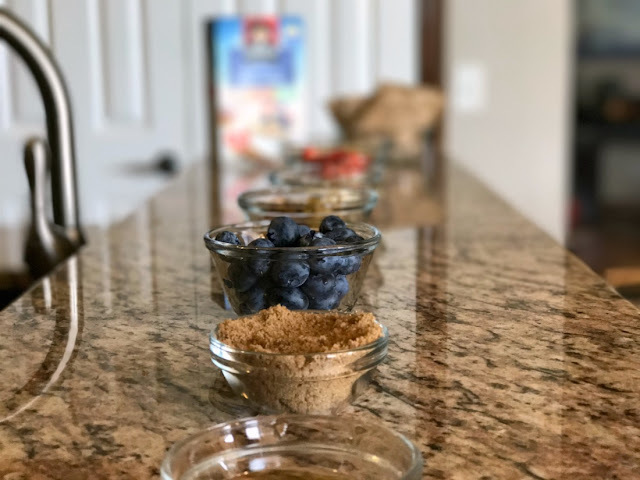 Whatever you add, the most important thing is to start with the best quality ingredients, and that comes from using Quaker Oats. Let me know what toppings you would use with your family. 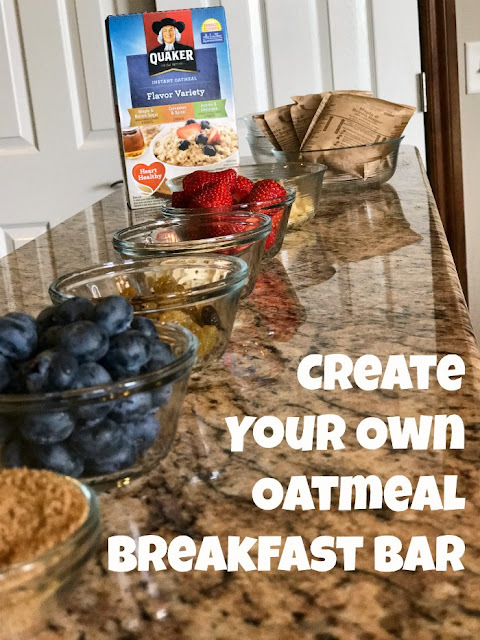 I hope my oatmeal breakfast bar saves you time and sanity in the mornings!